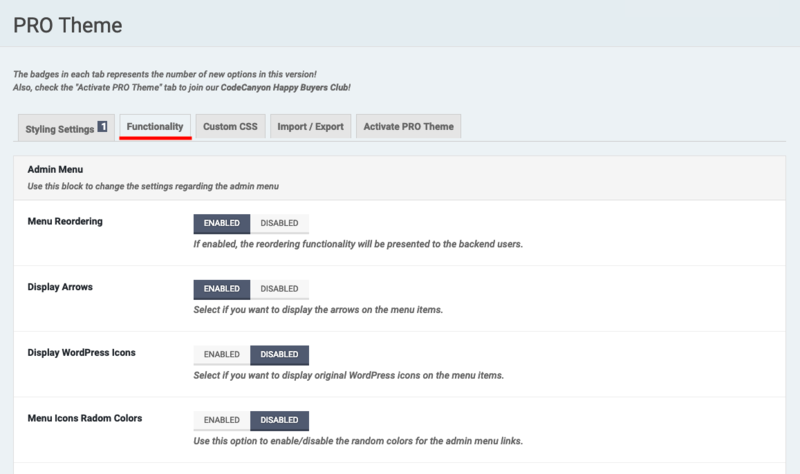 Often when doing client work we get the need to provide our clients with a custom experience in the admin dashboard of the WordPress. 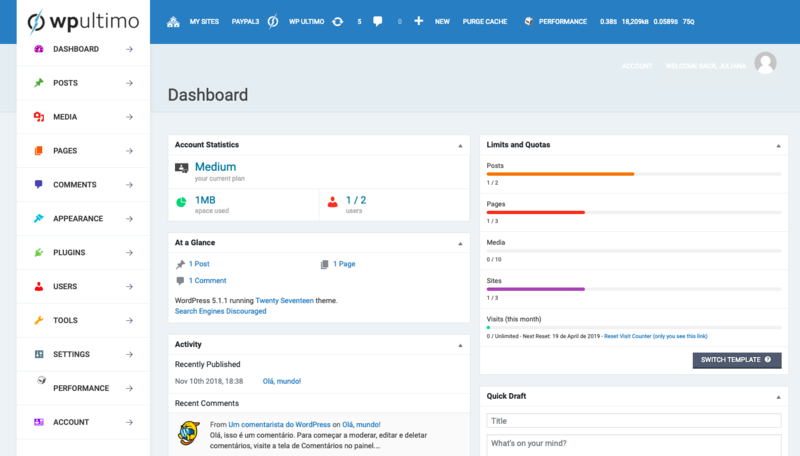 If you search for a more professional look and feel, PRO Theme might help you. 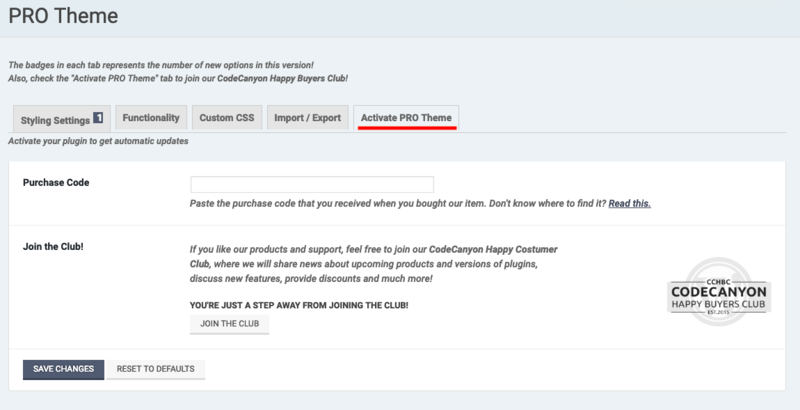 PRO Theme is an admin theme developed to help you when customizing your clients’ Dashboard. 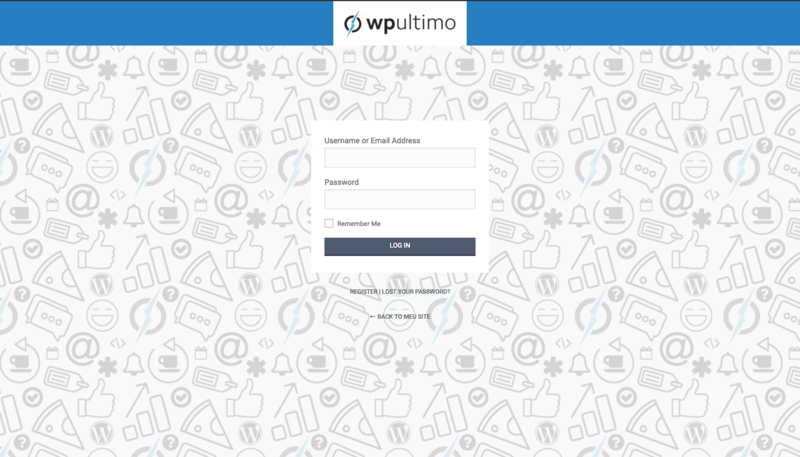 And it’s also part of WP Ultimo’s premium plugins core. 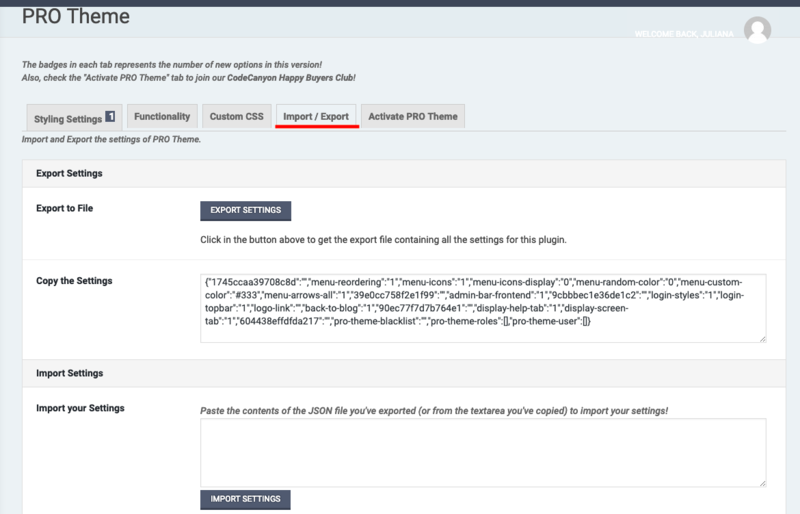 Now, you have your admin interface completely redesign! 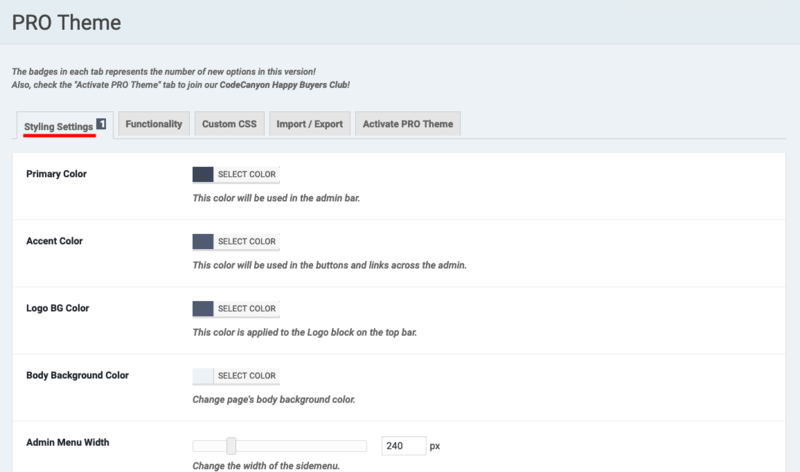 You also have a new menu on the left column called PRO Theme. 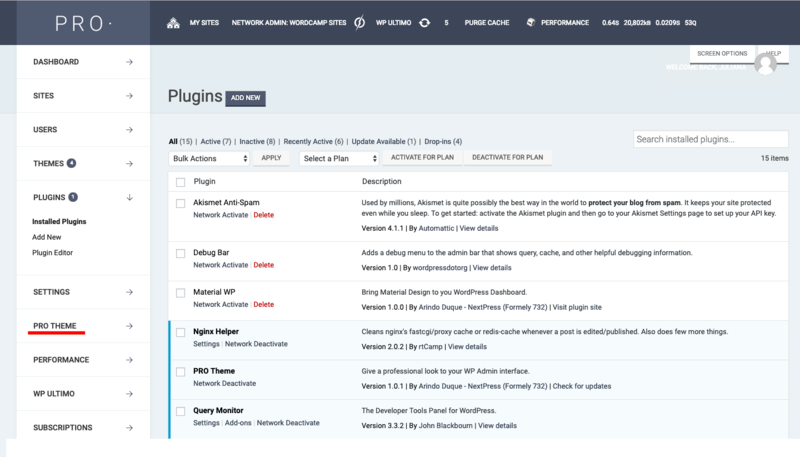 In each of them, you can enable and disable styling items, allow or block functionalities, and provide your clients with the customization they might be looking for on your network of sites.